(managed by the company established in 1947). Golden ring apartments, silent and home-style cosy one, two and three-room apartments with completely private equipped kitchen. Golden ring apartments are located couple of min walk from the underground stations: Kievskaya, Smolenskaya, Belorusskay. 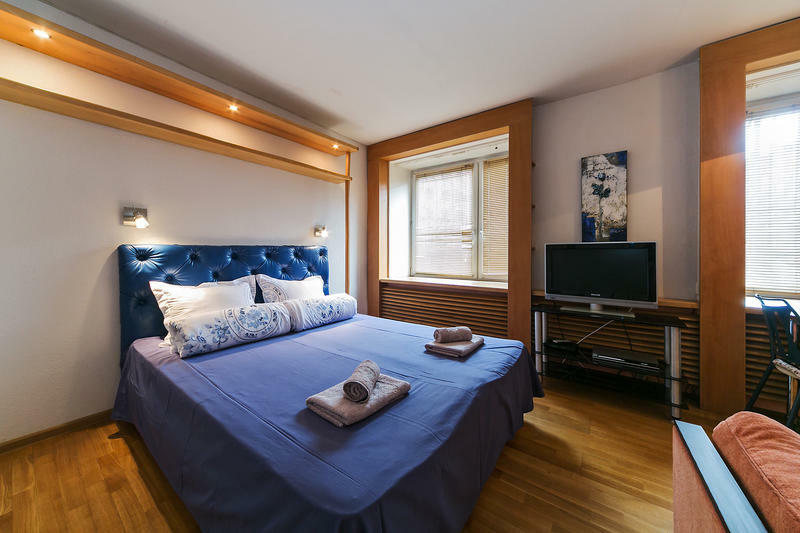 Nearby there are many known hotels of Moscow, as Golden Ring , hotel Slavanskaya Raddison Royal, Nearby the supermarket and Shopping centre are located. Booking of apartments in the centre of Moscow allows to you excellent possibility to feel the Moscow history. Apartments approach both for placing of tourists, and for placing of participants of exhibitions in 'Expocentre' and the Expo Crocus . Nearby there are all main sights of city centre the Kremlin, the Bolshoi theatre, historical monuments and theatres, in convenient availability expocentre on Red Presne, and also the centres of not less sated night Moscow life restaurants, discos and night clubs. Of them it is possible to reach some on foot. It is also business and shopping centre of Moscow. Here the most well-known shops are located and fashionable boutiques. Here it is possible always tasty to have dinner at luxurious restaurant, to drink a coffee cup in one of numerous coffee houses and it is pleasant to spend evening in night club. All it does him by a brisk highway on a capital card. We offer accmodation in a private studio, two-room and three-room apartments. All apartments are with fully equipped by kitchen. Our team have a well deserved reputation in Moscow for it's excellent client service! Check out is up to 12-00 noon. Arrivals before 14-00 is +50% of one night cost. at arrival to apartment is required. 1.We need you to reconfirm your booking 48 hours prior to your arrival. We need you to reconfirm your arrival one hour in advance to your arrival so will be able to inform you about the exact apartment details. Very important! Please call to 1 hour prior to your arrival at apartment. Only in the case you've order transfer in our company we do not need your confirmation call. Take the airport express train (cost 250 RUR, 40 minutes, trains depart every 30-60 min) to Savelovskii Metro station and than change and go to Lubanka station on the red line. Take the airport express train (cost 200RUR, 45 minutes, trains depart every 30 mins) to Paveltskaya Metro station, south-east of Moscow on the brown and dark green line. We can book taxi transfers from the airport for (55 EUR). We strongly reccomends airport transfers to all clients for better service!